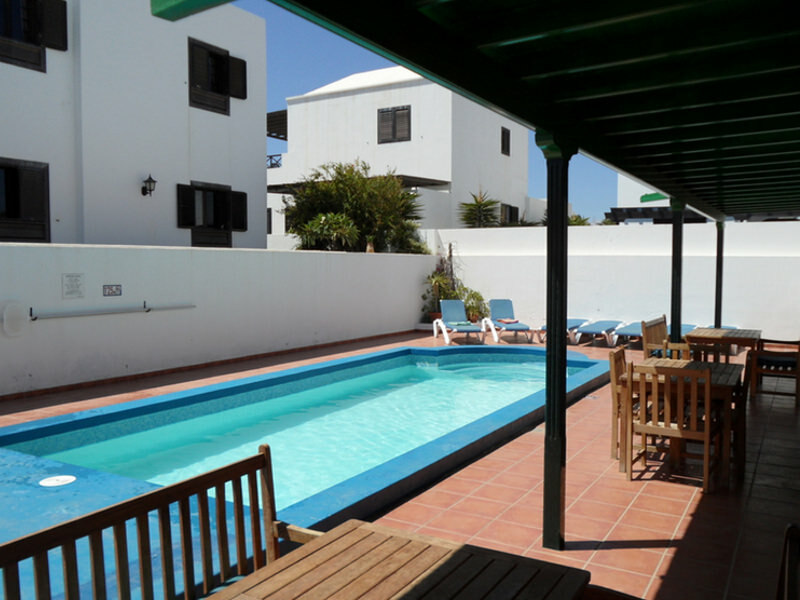 Detached private villa with heated pool, hot tub, patio terrace with shaded pergola area, sun beds & traditional BBQ. 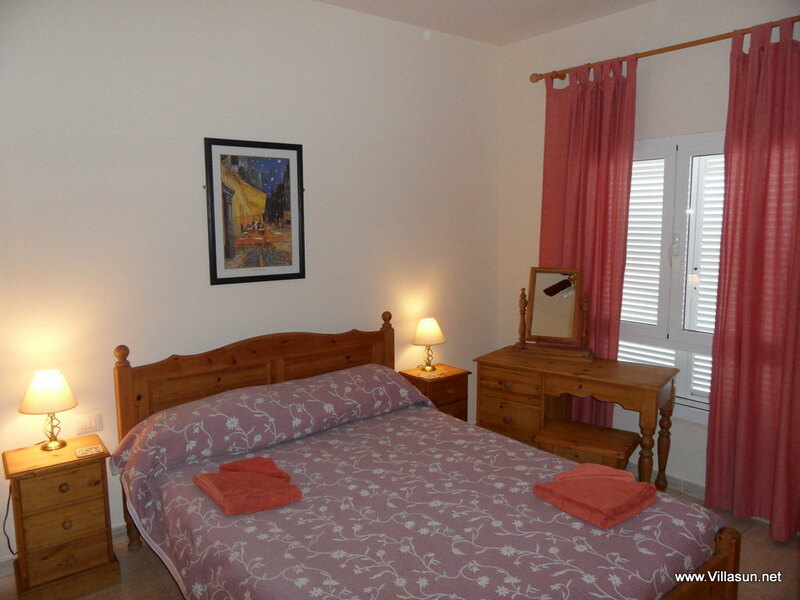 Free guest & beach towels, high chair, cots & Wi-Fi. 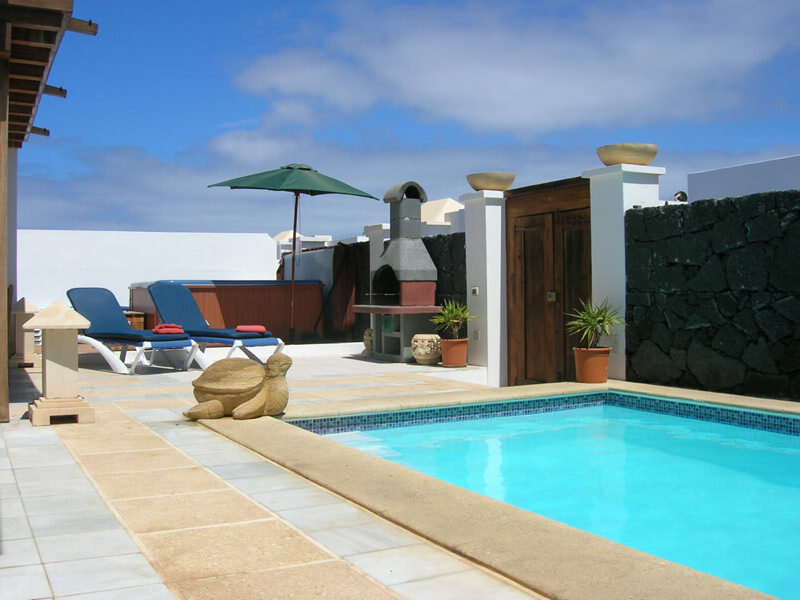 Situated in a quiet residential area of Las Calas, Costa Teguise, this luxury villa is in a prime location just a 2 – 3 minute walk from local bars, shops, restaurants and the sandy beach of Las Cucharas. This sought after villa boasts clean, modern interior decor and stylish, comfortable furnishings. It also benefits from TV with English speaking channels, DVD, music system and selected books providing everything you need for a relaxing break. 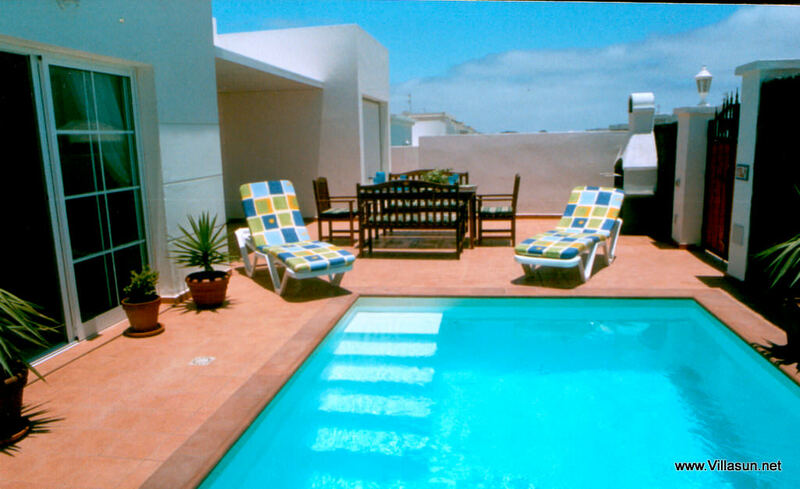 Patio doors lead from the spacious living area onto a private sun terrace with electrically heated pool. 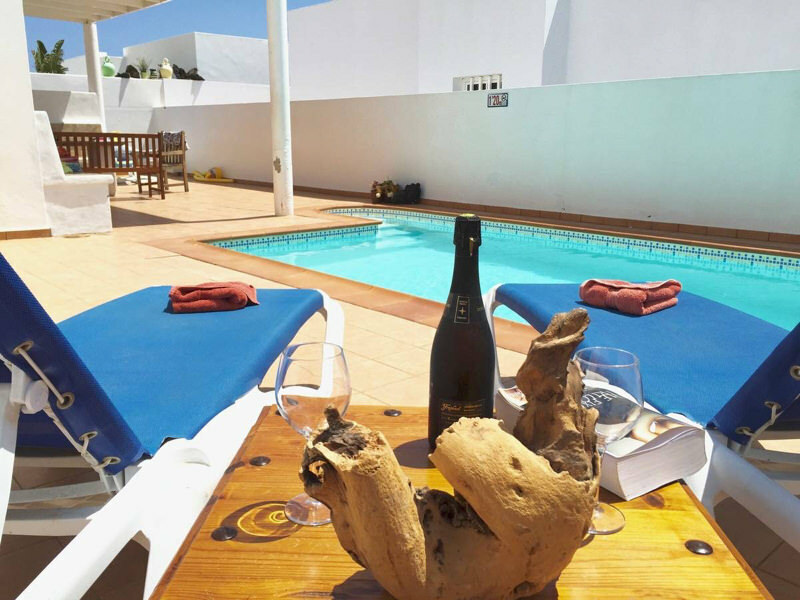 During the day the sun terrace provides a private place to relax by the pool and sunbathe. At night it’s perfect ‘al fresco’ dining area for lovely conversations during the long warm evenings. 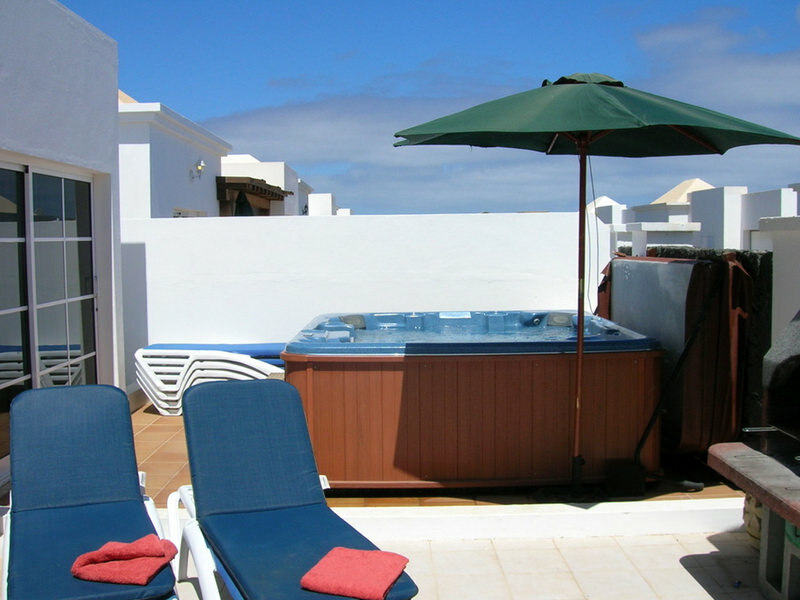 For those really looking to unwind there is an optional hot tub for that much needed spa treatment all in the comfort of your very own private holiday villa. Villa Emma comes with free WiFi, cots, highchairs, electrically heated pool, guest towels, beach towels and a free complimentary welcome pack. Arrival days are normally Thursday, with a mid-stay towel change and maid service on Sunday. We also include swimming pool and hot tub cleaning to ensure your water is in optimal condition. The mid-stay services can be changed for longer stays by request. Villa Emma is located adjacent to Villa Rachel. 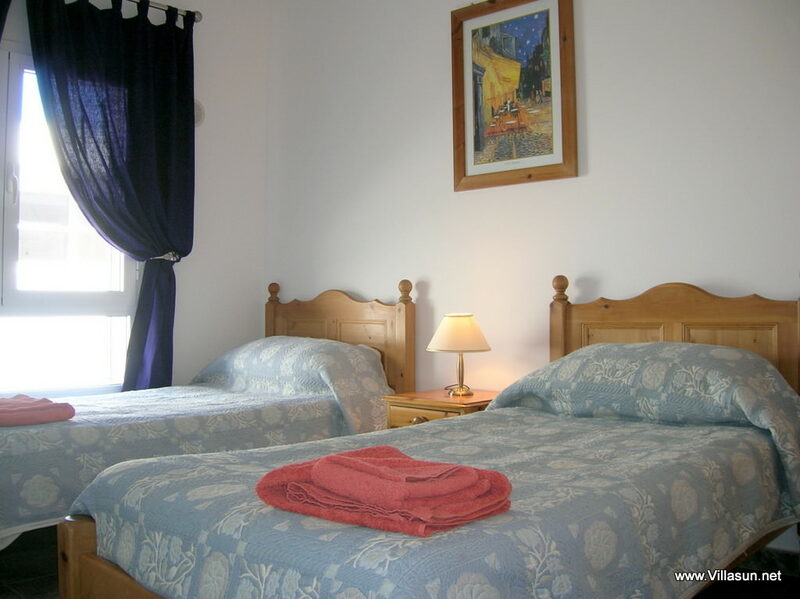 They can be rented together to provide accommodation for large parties, providing an eight bedroom option, facilitating for up to sixteen people, plus two infants. It’s a fantastic idea for families that travel with friends. Thank you for a fabulous relaxing week in villa Emma it was just what we needed, the staff were very helpful and friendly. 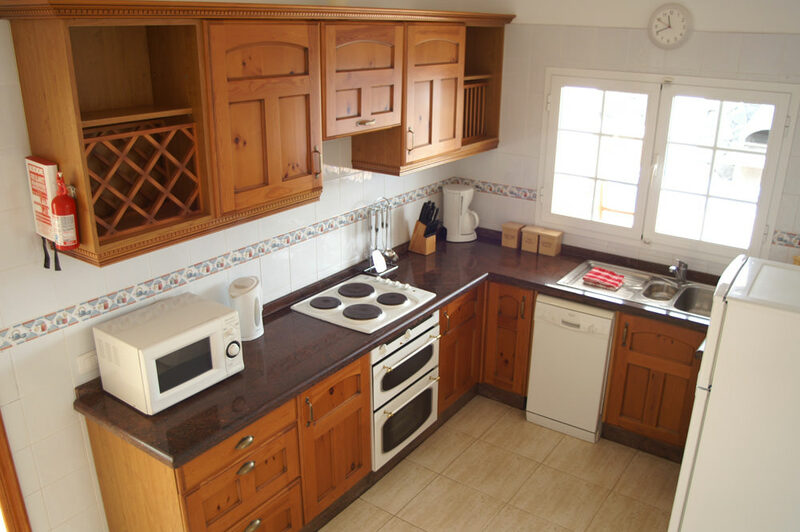 Beautiful villa in a quiet central location. Spotless and fully equipped on arrival with a welcome pack in the fridge. Friendly neighbours, and well looked after by Adrian and his hard working crew. Will definitely book here again.